-Rapid shooting (7 rapids by boat). 1. 2 Breakfast, 2 Lunch, 2 Dinner. 2. 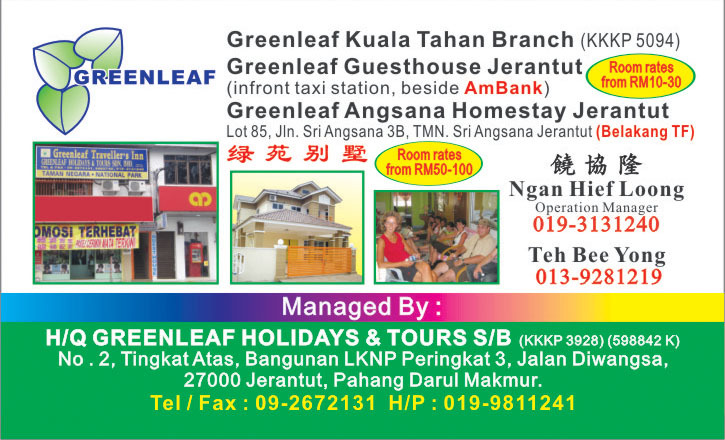 3 Days 2 Nights stay. 5. Shuttle transfer from Resort to Kuala Tahan. 6. 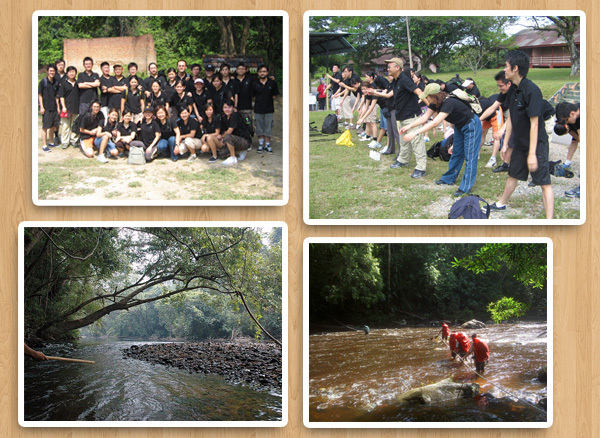 River crossing to Taman Negara. 7. River cruise from Resort to Kuala Tahan. 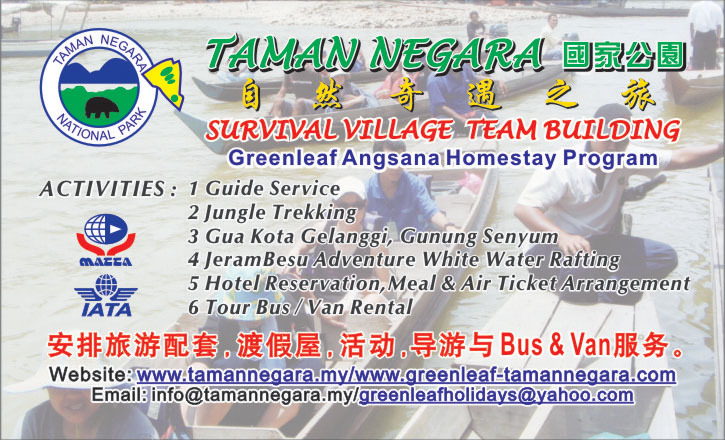 **for Camping Package, tent equipment provided per student.